Commercial garden landscaping design proposal: University of London, WC1E. We were invited to UoL Senate House for a meeting with the Facilities Manager at the University, to discuss the potential re-design for landscaping of the conference hall gardens. At this meeting, he conveyed the vision he had for the gardens going forward into the future. 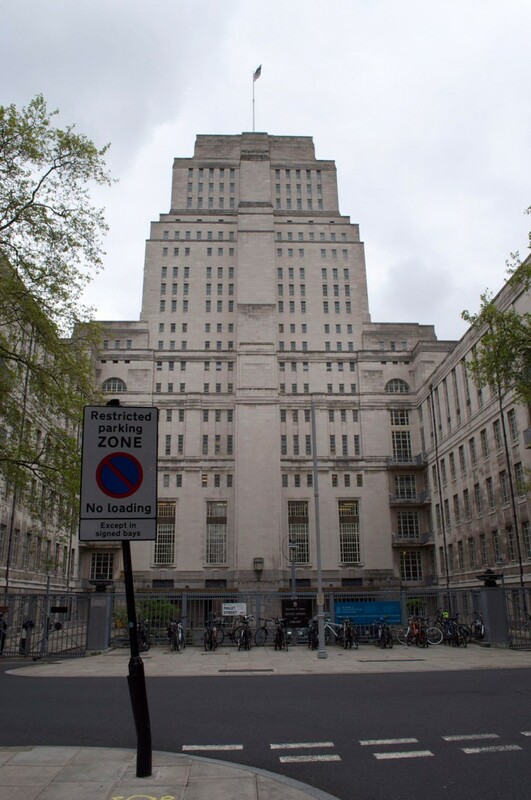 The space in question forms the main area directly outside Senate house on the Malet Street side. The outdoor space directly services the conference halls. They are an important, yet underused asset for the university and a potential source of income. His concept was to create an inviting space that linked directly to the conference halls. This would add an extra dimension to this area of the University. It could potentially make it more functional and attract events that required outdoor space. 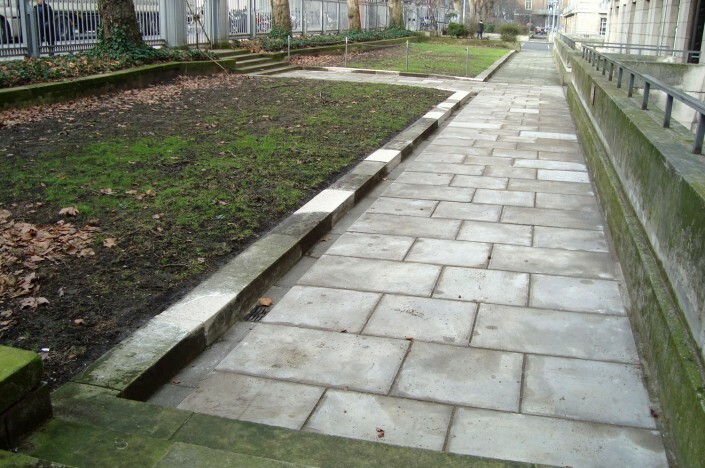 It was also essential to create a garden that was completely accessible to the public and to students attending the University. The building, being grade II listed, was also a key component as to how the design process would proceed. With the brief fixed in our minds, we put together a proposal based on our discussions. The site is south westerly facing and fairly exposed to winds. Sun spills in through the trees in the afternoon. 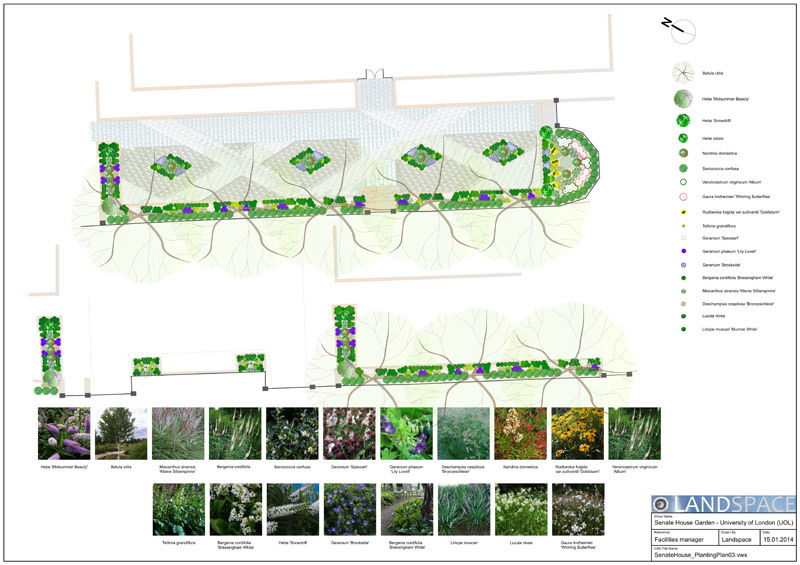 The proposed site encompasses: two worn, lawn areas surrounded by York stone, low raised beds, block walling and a raised block edging on the opposite side. The edging has a drainage channel next to it and then a paved path running alongside the main building perimeter. This area is lower than the contained lawn area. 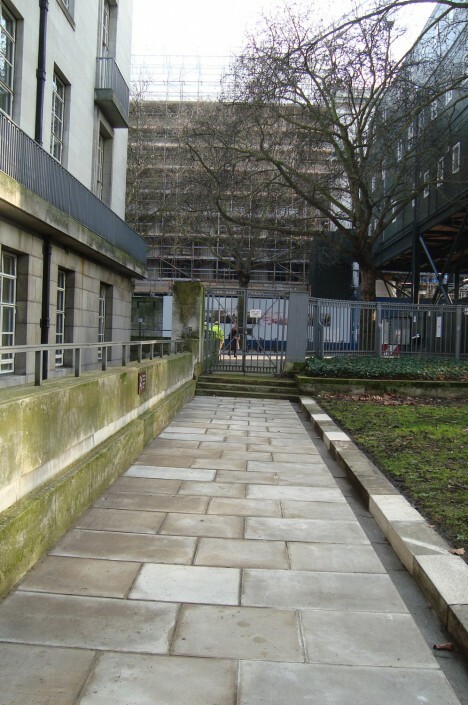 There are also raised block work beds along the edge and framing the entrance gate from Malet Street. There are five mature Plane trees along the boundary bed edge, with dense ivy covering most of the ground/bed area. Various ‘scraggy’ shrubs are in the other beds next to the main entrance. There are two other entrances into this space, one from Montague Place where the British museum sits and another, further along Malet Street, that offers access into the middle section of the neglected garden. 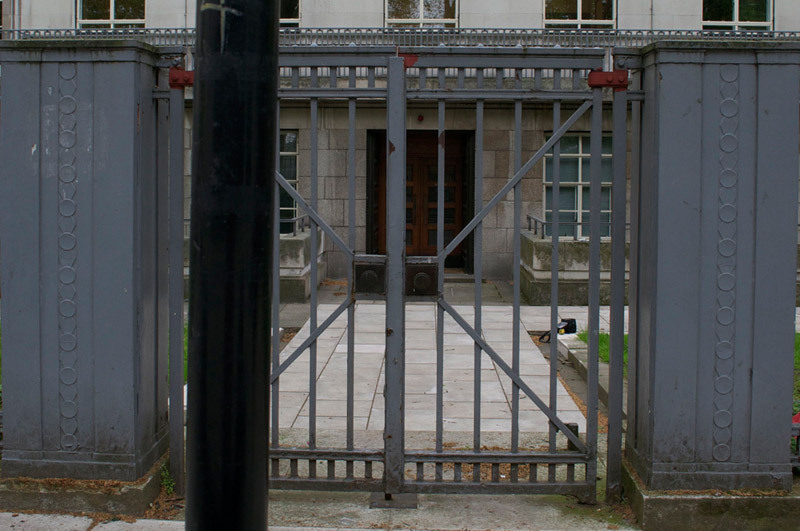 These lead up to the Conference hall entrance to Senate House. There are steps at both of these gates and a ramp/slope from the main gate. Malet Street is a quiet road that faces Malet Street Gardens – also part of Senate House. We felt the space should be: exciting, spacious, safe and open, peaceful, comfortable, sociable and provide some privacy. We wanted to utilise currently available, sustainable materials and to have planting schemes that were sympathetic to wildlife. 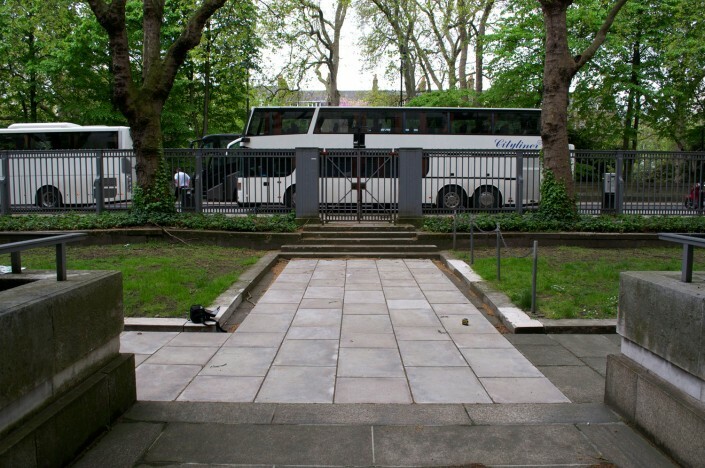 It was paramount that disabled access was at the core of our design decisions. It was also fundamental to the design that its Listed building status was taken into consideration. Both design proposals worked with the existing architecture. 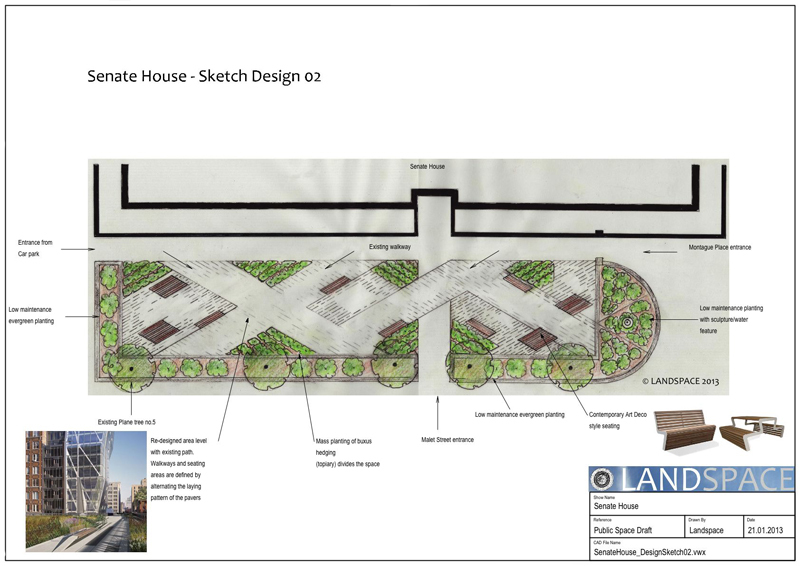 Our proposal suggested that the space should be made up of two to three different areas or zones. These zones should be linked together by a path running from one end to the other and various access points to and from the key entrances. 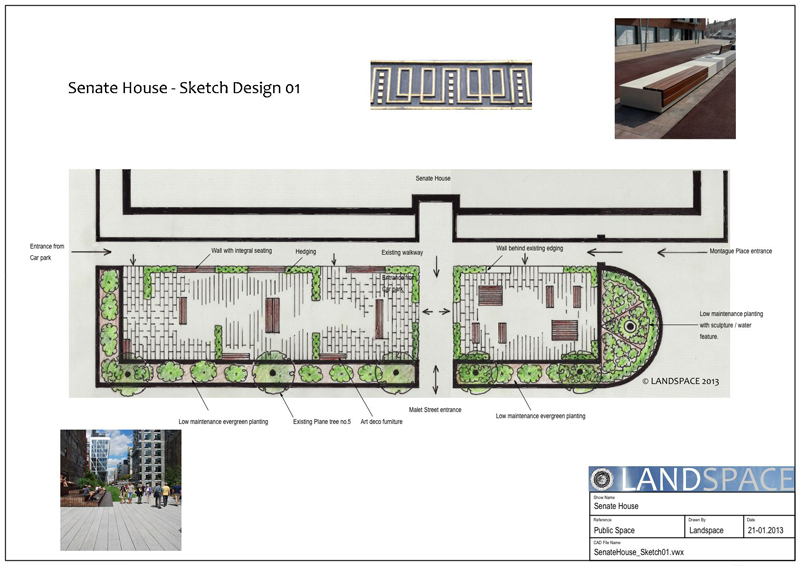 The space is long and narrow, so we proposed to create a sense of width and therefore divide the space laterally by using various techniques outlined in the sketch designs. We also proposed that the far end of the gardens (Montague Place), where the entrance to the conference halls are should be easily separated from the other areas should an event be taking place. 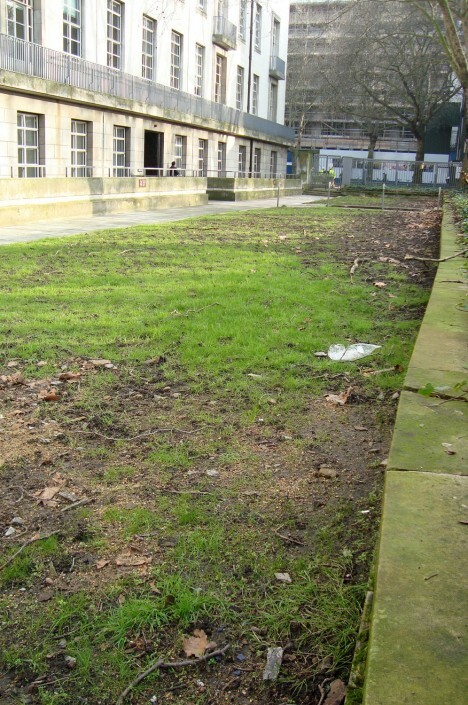 This would allow the gardens to remain open to students and the general public at all times. The University board chose our proposal out of three submitted by other companies. Out of our three design proposals, the board chose the layout with paths on the diagonal. 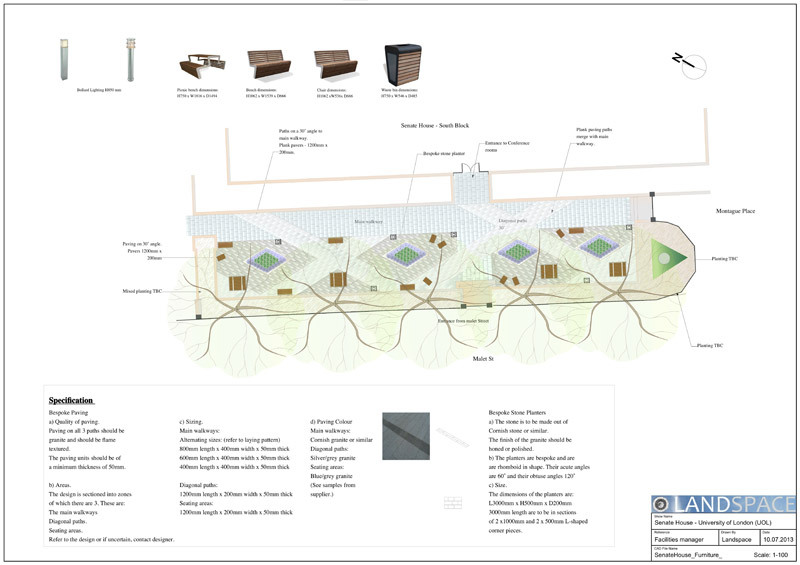 Once happy with the finished design, we prepared all the drawings in preparation for the University’s planning application. This project is currently on hold and pending a decision on funding.